Where I come from certain curries are an integral part of the holiday season. These are the recipes that grace our tables at Christmas, Easter and any other special occasion. I loved taking part in the INTERAC 100 Challenge. 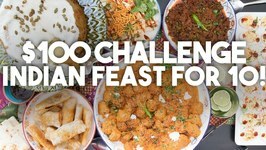 I shopped the grocery aisles for items to prepare a delicious Indian feast for 10, all under 100 Canadian dollars. 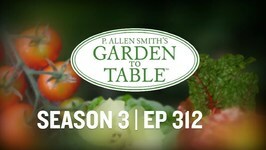 Season 3, Episode 12 - Allen shows viewers it's never too late to eat healthy and delicious with homegrown food. Season 3, Episode 11 - The holiday season is here and Allen is getting ready by preparing a few unique recipes for the big day. 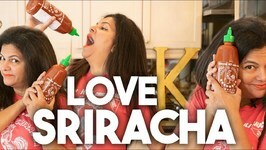 Sriracha is just plain cool! In this video I round up all my recipes using this amazing condiment. 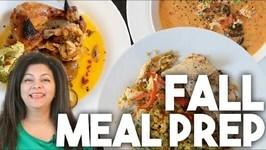 Fall is upon us and this meal prep will help save you time as your kids go back to school. 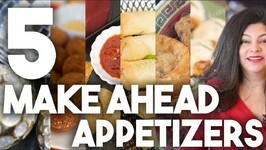 This Christmas, take the stress out of the Holidays by making these delicious appetizers ahead for parties and last-minute get-togethers. For Pump Fresh Containers. Back to school is a busy time and kids need snacks for sports, after-school activities, homework time, and on the go activities. 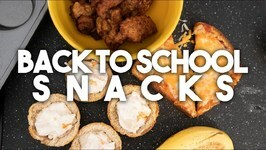 Rebecca Brand gives back to school lunch ideas and shows how to make a simple and healthy packed lunch. 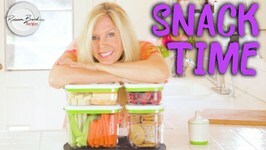 This video features high protein snacks, fruit, and leftover dinner meat. The holidays are here and they can bring fear! 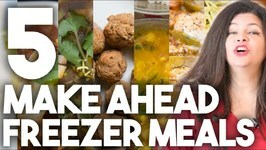 Here are 5 make ahead meals you can prepare and freeze ahead of time for hearty meals just when youre too busy or tired to cook. In this series of How To Make Everything, Andy George challenges himself to make a Thanksgiving dinner entirely from scratch. In this episode of How To Make Everything: Thanksgiving Dinner, Andy invites his friends to try his finished meal. It's an all-new series of How To Make Everything. This time Andy will attempt to make an entire Thanksgiving meal from scratch! 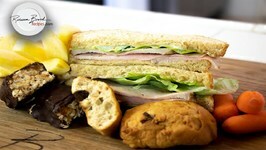 today I am sharing with you my today's dinner menu, I hope you like it. 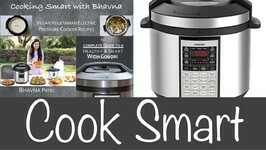 A must watch video for smart cooking with Instant Pot or Electric Cookers. I am sharing my mother's secret for preparing multiple recipes at once. 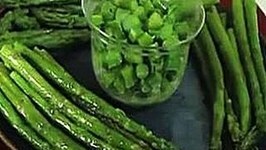 Rebecca Brand shows how to make asparagus four ways . She uses her tricks to show you techniques to have the best results with four different methods, contrasting and .. 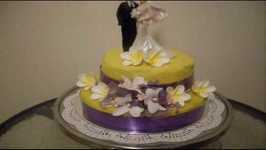 I hope you like the different recipe ideas. There is a lot of pressure in the Holidays (and really any time you have a large crowd to feed) to produce a delicious bird. 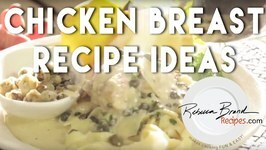 Rebecca Brand shows great recipe ideas for when chicken breast goes on sale. 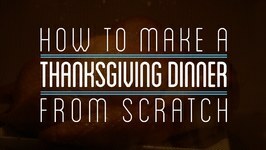 How to make chicken pizza recipe, chicken tenders recipe, chicken nuggets recipe, chicken ..
Rebecca Brand shows how to make a great Thanksgiving Dinner with these recipes: Grilled Turkey, Turkey Stock, Marshmallow Sweet Potato Casserole, Stuffing - Dressing for ..
Rebecca Brand shows how to make a Dinner Party Recipe. 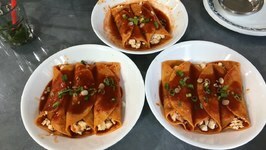 It's full of unique veggies like baby carrot, baby vegetable salad and other ideas for a dinner party. I hope all of you are doing well! 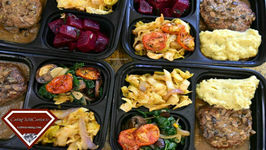 Today I am going to give you some meal prep ideas with cabbage,meat loaf and mushrooms.So let's get started! We hope all of you are doing well! 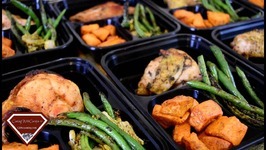 Today I am going to give you some meal prep ideas with roasted chicken,roast some yam and grilled beans.So let's get started!